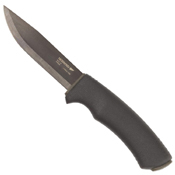 With its razor-sharp, burly 1/8-inch (3.2 mm) thick carbon steel blade treated and a tungsten DLC anti-corrosive black coating, the Bushcraft will be one of the strongest and most dependable knives you will own. The spine of the blade is ridgeground so that it can be used with a fire starter–which means critical fire is never far away. 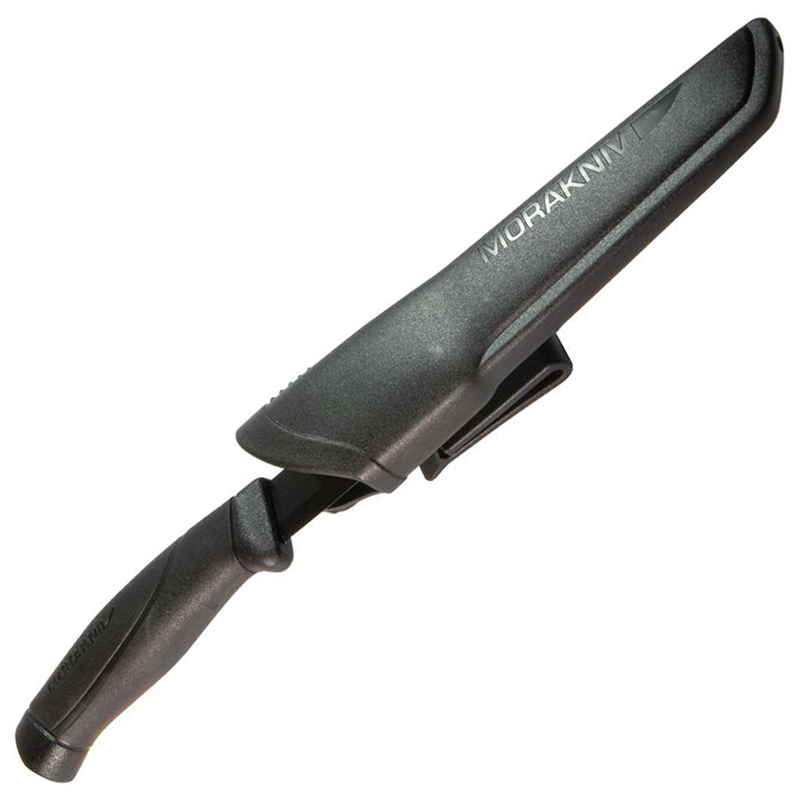 The knife sheath contains a belt loop and clip so your knife is always close at hand.